My two kids went trick or treating. And despite a disappointing number of dark porches on our street, they still managed to bring home an alarming amount of candy. Which was traded in for toys, Great Pumpkin Style. This means I have a grocery bag full of candy hiding in one of my kitchen cabinets. Taunting me. We all know that there is only one way to get a bag full of candy to shut up. Eat it. All of it. 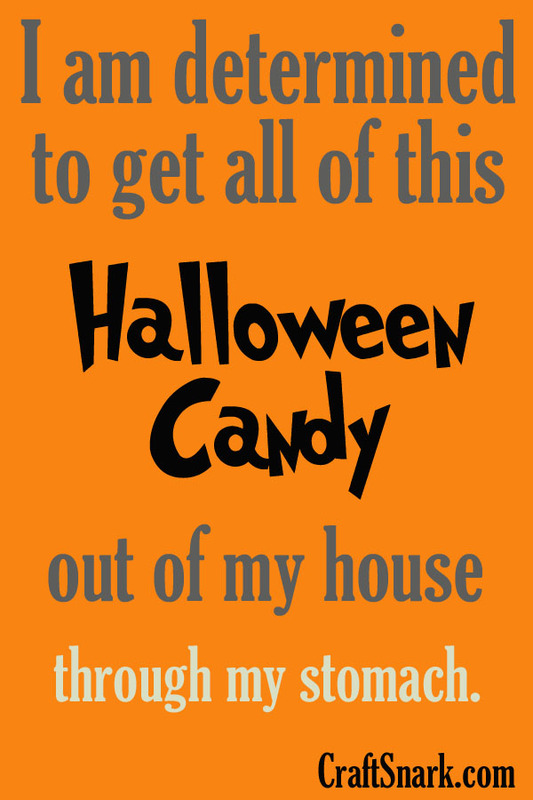 I am determined to get all of this Halloween Candy out of my house... through my stomach. It's a sacrifice that has to be made. Belly up to the table. Let the season of sugar and gluttony begin.